Join or Renew Your Membership!/Inscrivez-vous ou renouveler votre adhésion! ACJS membership is open to academics, students, professionals and others interested in the study of Jewish life in Canada.Members receive the Association’s Bulletin highlighting news and events pertaining to Canadian Jewish studies, a bound copy of the Canadian Jewish Studies journal, and attend the annual conference at a reduced rate. If you’d like to make a donation in addition to your membership, please visit our donations page. L’Association d’études juives canadiennes (Aéjc ) est ouvert aux universitaires , étudiants, professionnels et autres personnes intéressées par l’étude de la vie juive en Canada. Membres recevoir le Bulletin de nouvelles mettant en évidence de l’association et des événements concernant les études juives canadiennes , un exemplaire relié de la revue d’études juives canadiennes , et assister à la conférence annuelle à un taux réduit. Historical societies, libraries, archives, etc./ Société historique, bibliothèque, archives, etc. 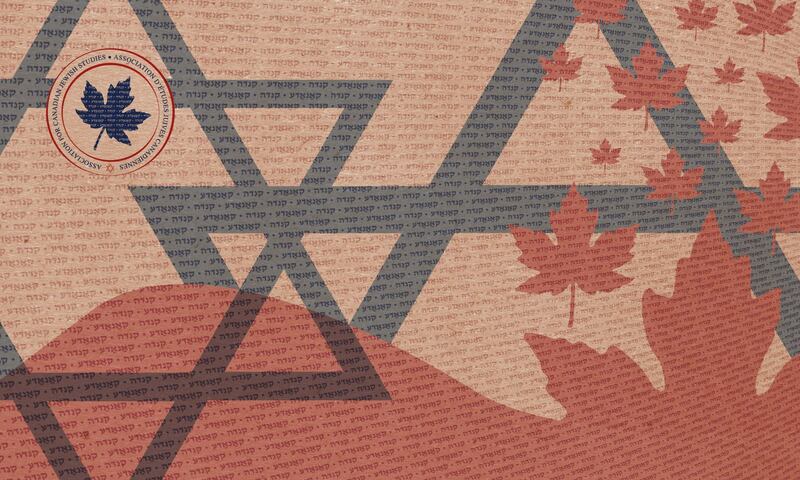 The Association for Canadian Jewish studies welcomes the participation of graduate and undergraduate students interested in the field of Canadian Jewish Studies. Becoming a member of the ACJS will provide you with connections to scholars on the cutting edge of research in the field, as well as opportunities for furthering research and professional development. Join the ACJS Listserv to stay abreast of the latest news in the field. Partial travel subsidies are usually available to students whose papers have been accepted for presentation at the annual conference. The Marcia Koven Best Student Paper Award is presented annually for outstanding papers presented by students at the conference.